Watch to learn how it works! Film yourself singing the Basil Jingle, the full jingle is below for your reference. It can be you, your friends, your family, anyone and anywhere. But be sure to have fun and be creative! Check out our protips below so you can make the best video! The videos that get the most likes will see their video featured on the Basil Family Dealerships commercial during the big game this February! Shoot Side to Side, So the Video’s Wide! Tips to help shoot a better video!! By checking this box your are agreeing to the Official Rules of Basil Big Game and that you are willing to receive communication from Basil Family Dealerships. Basil Chevrolet, Buick, Cadillac; Joe Basil Chevrolet, Robert Basil Buick, GMC, Cadillac; Basil Toyota; Basil Ford, Cheektowaga; Basil Ford, Niagara Falls; Basil Volkswagen; and the Basil Resale Centers will be abbreviated as the Basil Family Dealerships from here on. #basilsbiggame is a contest in which participants may upload a film or video or themselves, their friends, family, etc, singing the Basil jingle in a unique, fun, or creative way. The Basil Marketing Group will review all entries and choose various groups of jingle singers to appear in Basil’s 2019 Super Bowl commercial. Being chosen to participate in the 2019 Super Bowl commercial will be referred to as the “prize” or “grand prize” hereafter. 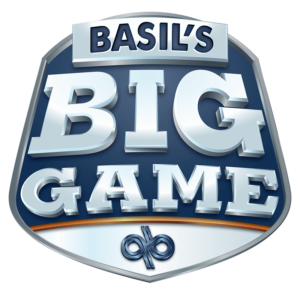 The #basilsbiggame contest will begin on Sunday, July 1st, 2018 and end on Sunday, February 3rd 2019, during Superbowl LIII. To participate in the contest, contestants may enter by uploading a film or video of friends, family or themselves singing the Basil jingle in a unique, fun, or creative way through the Basil Family Dealerships promotional page. Entries within the promotional period will be selected to be part of Basil’s upcoming 2019 Super Bowl commercial based on creativity, visual appeal, and overall uniqueness as determined by the staff of the Basil Marketing Group. The participants will be chosen, without financial compensation. The “prize” is defined as the contestants’ ultimate appearance in Basil’s 2019 Super Bowl commercial. The Basil Family Dealerships will approve all entries prior to posting. The Basil Family Dealerships also reserves the right to reject or delete any entry that it deem to be inappropriate, illegal, or not in line with our corporate values. The Basil Family Dealerships will also delete any entry received from persons under the age of 13 in compliance with the Children’s Online Privacy Protection Act. Persons under the age of 13 may appear singing the Basil jingle, but in such cases submissions must come from a parent or legal guardian. The contest is open to all participants who are 18 years of age or older as of July 1st, 2018. Grand Prize: The participants selected as winners will appear in Basil’s 2019 Super Bowl commercial. There will be no other financial restitution, and there is no cash alternative. If a winner is disqualified, the Basil Automotive Group reserves the right to determine an alternate winner. No purchase necessary. There is no substitution, transfer, or cash equivalent for the Grand Prize. Other restrictions may apply. Decisions of the Basil Family Dealerships with respect to the contest are final. Entries within the promotional period will be selected to be part of Basil’s upcoming 2019 Super Bowl commercial based on creativity, visual appeal, and overall uniqueness as determined by the staff of the BMG Marketing Group. The participants will be chosen, without financial compensation. The “prize” is defined as the contestants’ ultimate appearance in Basil’s 2019 Super Bowl commercial. Basil’s 2019 Super Bowl commercial may run for an indefinite time frame following the Super Bowl itself. Entries will be accepted beginning Sunday July 1st and ending Monday, December 31st. Nominees may be contacted during that time frame if content is selected, but filming quality needs to be enhanced. The Basil Marketing Group may contact participants to re-produce, or assist with reproduction of scenes the entrant originally set up and planned. Otherwise, no official contact will be made until the unveiling of the TV commercial during Super Bowl LIII on February 3rd, 2019. ODDS OF BEING SELECTED AND WINNING DEPEND UPON THE NUMBER OF ENTRIES RECEIVED, AS APPLICABLE. Publicity: By participating in the contest, the winner or winners agree to, irrevocably, have their name, voice, or likeness used in any advertising or broadcasting material relating to this contest, or any future Basil Advertising without additional financial or other compensation, and, where legal, to sign a publicity release confirming such consent prior to acceptance of the prize. Release. By participating, each participant and winner irrevocably waives any and all claims of liability against the Basil Family Dealerships, its employees and agents, the Contest’s sponsors and their respective employees and agents, for any personal injury or loss which may occur from the conduct of, or participation in, the Contest, or from the use of any prize. In order to receive the prize, participants must agree to the official rules provided by the Basil Family Dealerships, upon entry to the contest. Once submitted, all entries become the sole property of the Basil Family Dealerships. from the prize or participation in the contest. Failure to comply with the contest rules may result in a contestant’s disqualification solely at the discretion of the Basil Family Dealerships. The Basil Family Dealerships are not responsible for typographical or other errors in the printing, the offering or the administration of the contest, or in the announcement of a prize. Copies of the written contest rules and a list of winners (when complete) are available during regular business hours at the Basil Marketing Group offices, located at 1540 Walden Ave, Cheektowaga, NY, 14225.
decisions made by the Basil Family Dealerships are final. The Basil Family Dealerships may waive any of these rules in its sole discretion. Miscellaneous. The winner must submit proof of eligibility and sign the company’s release form to claim the prize. No purchase is necessary to participate or win. Purchase does not increase chance of winning. Void where prohibited. Odds of winner depend of number of participants. The Basil Family Dealerships may substitute prizes, amend the rules or discontinue the contest at any time. The Basil Family Dealerships disclaims any responsibility to notify participants of any aspect related to the conduct of the contest. All entries become the property of the Basil Family Dealerships. Compliance with law. The applicable laws of the United States of America govern the conduct of the contest, which take precedence over any rule to the contrary herein. 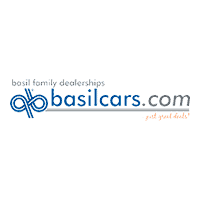 The Basil Family Dealerships will follow the applicable laws for conducting contests, including notice to the State Attorney General or consumer affairs office, posting a prize bond, furnishing lists of winners, running specific on-air disclaimers, providing specific written information about the Contest, etc. as required by local or state law.